Kevin Barrett's radio show schedule: Charles Upton: The New World Order conspiracy is DEMONIC! Broadcast Sat., Jan. 25th, 10-11:00 a.m. Central (1500 GMT) on NoLiesRadio.org, archived here. Note: TruthJihad.com subscribers can listen to shows on-demand before they are broadcast - and also get free downloads! If you are a subscriber, just log in to the members area of TruthJihad.com and go to the "Private Blog" to get early access to the shows. "Anti-Tradition-secularism and materialism-opposes religion; Counter-Tradition inverts it; and the esoteric essence of Counter-Tradition is the Counter-Initiation. 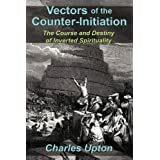 The author expands on this concept, recognizing the action of the Counter-Initiation in such areas as the politicizing of the interfaith movement, the anti-human tendencies in the environmental movement, the growing interest in magic and sorcery, the involvement of the intelligence communities in the fields of UFO investigation and psychedelic research, the history of Templarism and Freemasonry, and the de-Islamicization of the famous Sufi poet, Jalaluddin Rumi." Along with Dr. John Morrow, Charles Upton is a leading light of the Covenants Initiative, which seeks to rally all Muslims behind the Covenants of the Prophet Muhammad with the Christians of the World - and help stop the sectarian bloodletting.